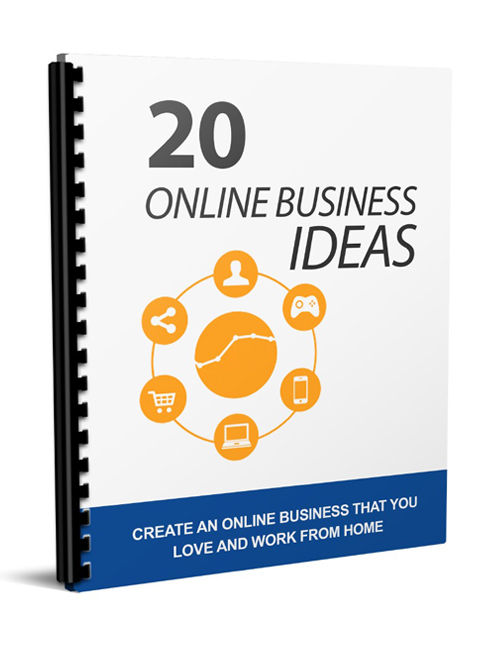 20 Online Business Ideas is the expert ebook that uncovers the best online business ideas that will set you up to create a solid online income stream fast. Inside you will learn about the tips and tricks that successful online businesses are all about. With these hot business ideas you know what niches to investigate and get set up to win. Money makes the world go round and when you have the key to creating a business that is in high demand, you’re setting yourself up for success. Many online business owners make the mistake of throwing everything they have into creating a marketing plan for an online business that is sitting in the dark. What I mean by this is they have created a business that isn’t popular. That makes it very hard to drive qualified traffic to your website to buy. This is the guide that takes away the worry because it uncovers the top business opportunities online. From there you will learn about how to go about marketing your online business and establishing a solid platform from which to build your online income stream. 20 Online Business Ideas is your solution to creating a successful online business brand quickly and long term.